Imagine sending your son to school one day, only for the police to gun him down. 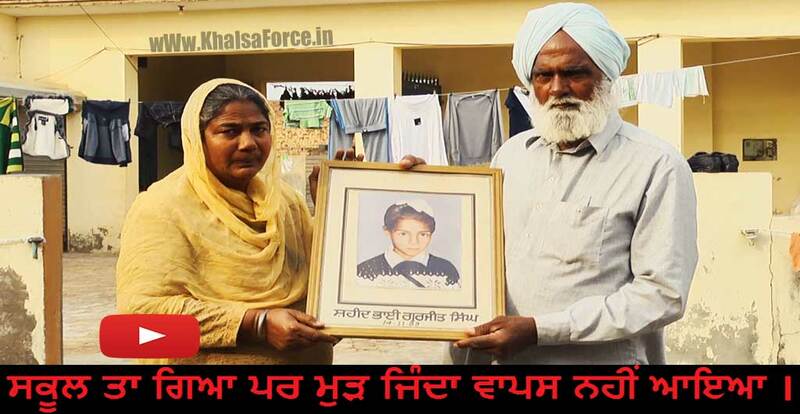 On November 14, 1989, Charanjit Kaur’s ten year old son Gurjit Singh went to school, never to return home alive. The story of Charanjit Kaur is the story of many mothers in Punjab who saw their families destroyed during the Decade of Disappearances. Watch Charanjit Kaur’s video, as she revisits the events of that fateful day, describing in detail the killing of her young son and the effects on her family. Generous donors, like the Dhillon Law Group Inc., have stepped forward to match your donations dollar-for-dollar, up to $10,000, for the next 10 days. Ensure that Charanjit Kaur’s voice reaches the international community. Thank you for your generous support and commitment to truth and justice! Previous post Cardinal George Pell | One of Pope Francis | Top Advisors was Just Charged with Sexual Assault.